WWE SmackDown Results (11/20): Daniel Bryan Explains His Actions! 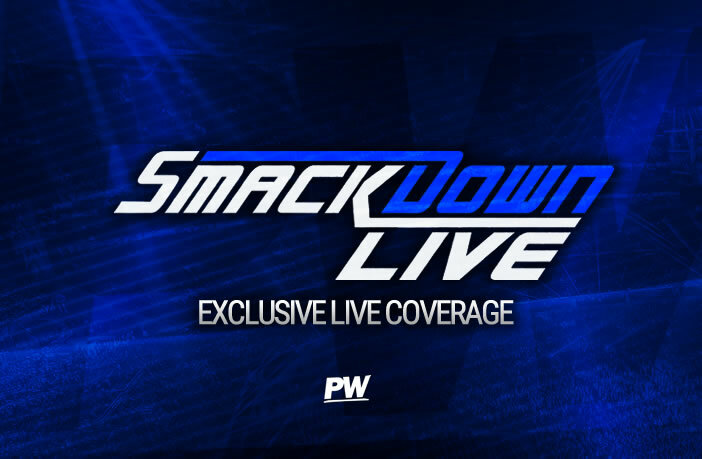 We kick off tonight’s episode of SmackDown live with Charlotte Flair who says this Sunday she put the baddest beating on the so-called baddest woman on the planet. Flair asks if Ronda is walking a little slower today? She says she is not sorry, she enjoyed every second of it. Flair claims it was for SmackDown, the girls in the locker room and for the champ. Charlotte says she has fought against Becky Lynch and alongside her and on Sunday she fought for her and she made it her mission and on Sunday it was mission accomplished. Charlotte says Ronda Rousey bowed down to the Queen, but Flair is now interrupted by the GM, Paige. She says that she doesn’t have to apologize as she enjoyed the beating, but what she said on Monday was that she is going to find her and finish her. Flair states that if Ronda sticks her nose in her business again she will stick Rousey’s head into a chair and stomp on it a thousand times. Paige said that Flair put her hand on five WWE officials and she says that under no circumstances does she ever do that, so she has been left with no choice and fines her $100,000. Before Flair gets the chance to respond The IIconics make their way out to the ring. Billie asks what Peyton Royce is doing (who acts in a trance) and says she is doing the Charlotte Flair on Sunday. They say they want to do Paige a favor, but Charlotte stops them and asks which one of them wants to be the next Ronda Rousey? The Queen starts things off taking the fight straight to Billie Kay with a series of chops before exposing the knee and dropping it straight on the cheekbone several times. Flair then attempts to lock in a Figure Four and Billie manages to escape to the outside. The IIconics work a distraction on the outside and this allows Flair to get rocked with a big boot by Kay who then sends Charlotte face-first into the middle turnbuckle with Peyton Royce ragging at the hair whilst the official is blind to the action. Flair gets back in control with a fallaway slam and she follows it with the Natural Selection which sees Charlotte pick up the expected victory. After the match Flair gets on the microphone and demands that Peyton Royce gets in the ring for a fight. Back from the commercial and Peyton Royce is in control of the match, stomping down the Queen and picking up a two-count, which she followed up with a solid clothesline. Then when the official was blind again Billie Kay got involved, but Royce only managed to walk straight into a big boot. With Flair looking to get on top of the match, Billie Kay hit the ring and kicked off a two-on-one assault of Flair. The IIconics look to get a chair but the timekeeper doesn’t allow them and instead, they get hit with a double Spear and Flair smashes their heads off the announce desk. Charlotte then sends Kay crashing into the barricade and Royce doesn’t get much better, crashing into the steel steps, however, she is not over as Kay and Royce both get sent crashing over the announce desk as the Queen poses on top. Rey Mysterio is now shown backstage with Mysterio claiming he has seen a lot over his time, but nothing like the way Randy Orton is right now and he knows Orton is targetting him next, but he didn’t just come back to be one of his victims.